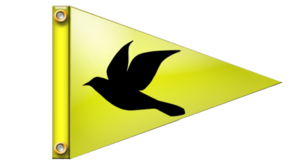 In the late 1930's fourteen boat owners claiming Hartge's Boat Yard on the West River as their home port banded together in a common interest and good fellowship and formed the West River Yacht Club. 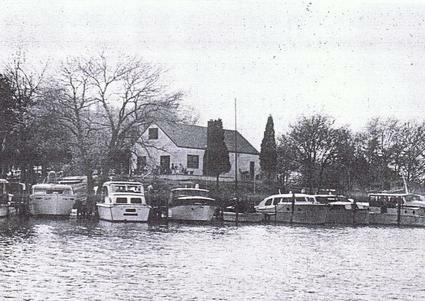 Adjacent to Hartge's Boat Yard was a piece of property which was rented from Mr. Hartge by the newly formed club. The property consisted of an unimproved two room house with outdoor plumbing and with no provision for anchorage, therefore, the crafts remained moored at Hartge's Boat Yard. The new yacht club grew rapidly. New members were admitted to the club without initiation fees and paid annual dues of $1.00 per year. The club flourished and in 1939 became incorporated as the West River Yacht Club. The war years came and club activities nearly ceased and the clubhouse at Hartge's was given up. The war years ended in 1945 and the club sprang to life again. New members and new boats appeared and the club members longed for a place to call home. 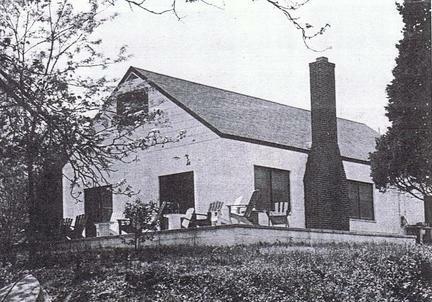 A farmhouse on 1.25 acres of land on Cadle Creek was purchased and became the permanent home of the West River Yacht Club. At one time the property had been a country store and local kids are rumored to have paddled across Cadle Creek to purchase penny candy. The property was very "modern" and even had running water and indoor plumbing. Six years after moving into the property on Cadle Creek, the membership decided to tear down the old building and build a new cinder block building. The new structure, shown below, was dedicated on June 1, 1952. Improvements continue to be made to the clubhouse and the docks, but this property on Cadle Creek remains our home. We will always be grateful to the fourteen charter members of the West River Yacht Club for their steadfast efforts, their careful selection of members, and for their guidance, stability and judgement.